Tiger Woods? Ben Hogan? Annika Sorenstam? None of these amazing athletes knows more about winning golf tournaments than LPGA legend Kathy Whitworth. In the bestselling tradition of Harvey Penick's Little Red Book, long-time Penick student and World Golf Hall of Fame enshrinee Whitworth presents readers with tee-to-green advice gleaned from years of teaching and tournament golf. She amassed a whopping 88 professional wins in her careera record for both men's and women's U.S. Tours. 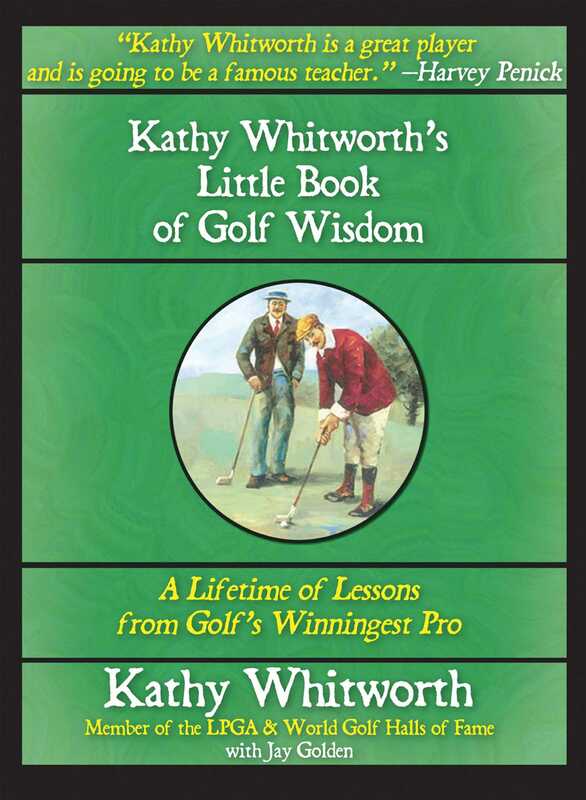 Small enough to fit inside your golf bag and with much of the simple, easy-to-understand, common-sense manner of Penick's classic books, Kathy Whitworth's Little Book of Golf Wisdom includes expert advice on playing one shot at a time; thinking your way around the golf course; the common traits of all champions; the importance of confidence, concentration, and learning in practice rounds; practicing trouble shots; bad-weather golf; pressure putting; and how to turn things around when you're playing badly. With its invaluable advice, this is an indispensable resource for any golfer.